I have a bit of blog block tonight, so here are just some Holiday Cards that I have shared through the years. 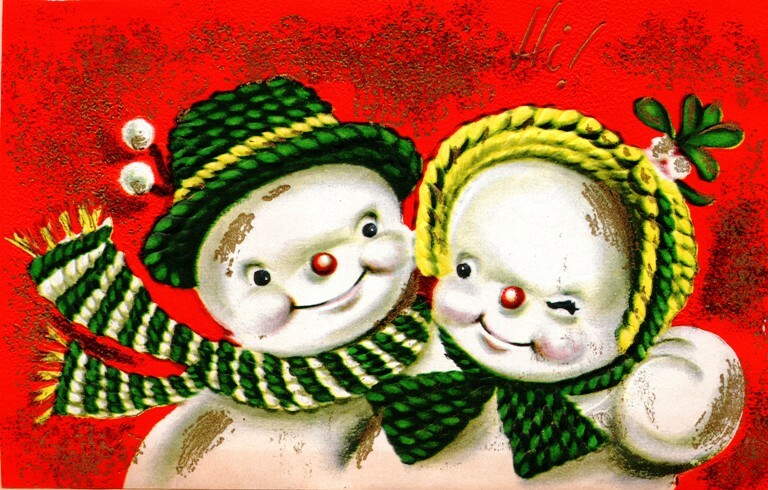 This one makes me think of the many snowmen that we built while growing up in snow country. 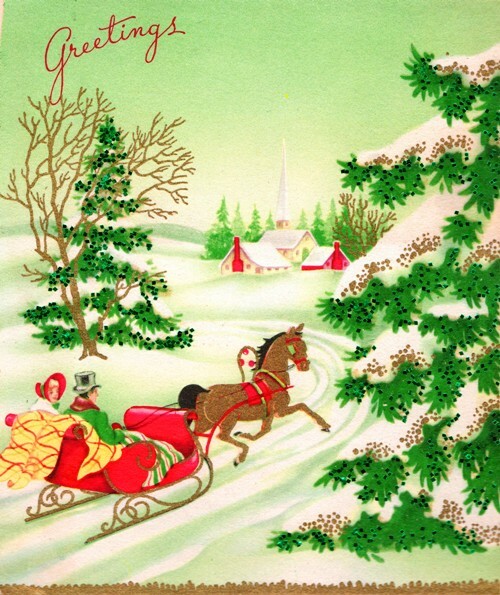 A nice vintage card from one of my Grandma’s Scrapbooks. Actually, all of the images I will share tonight come from Grandma’s Scrapbooks. 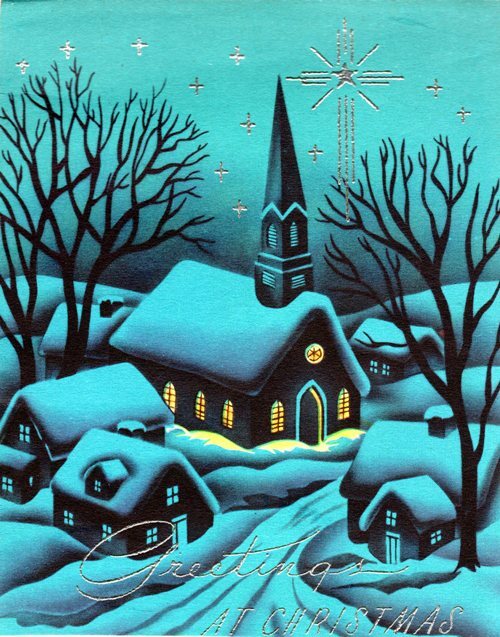 I like the blue tint to the card and the lights from the church building shining out into the darkness. Some candles with holly and flowers. 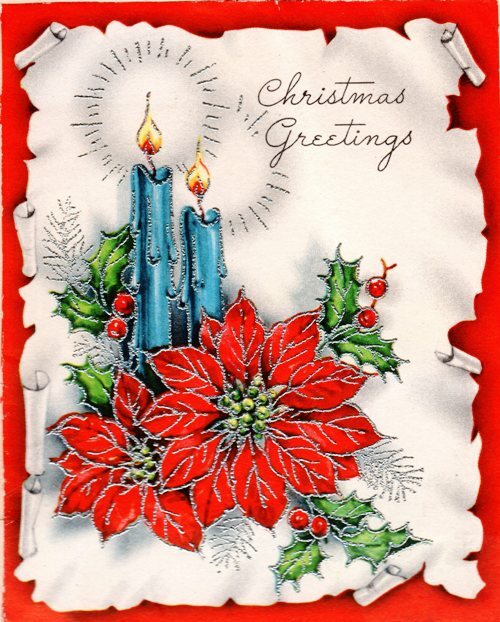 This entry was posted in Blog, Culture, Holidays and tagged Candles, Christmas, Christmas Cards, Church Building, Holiday Cards, scrapbook, Snow, snowmen. Bookmark the permalink. 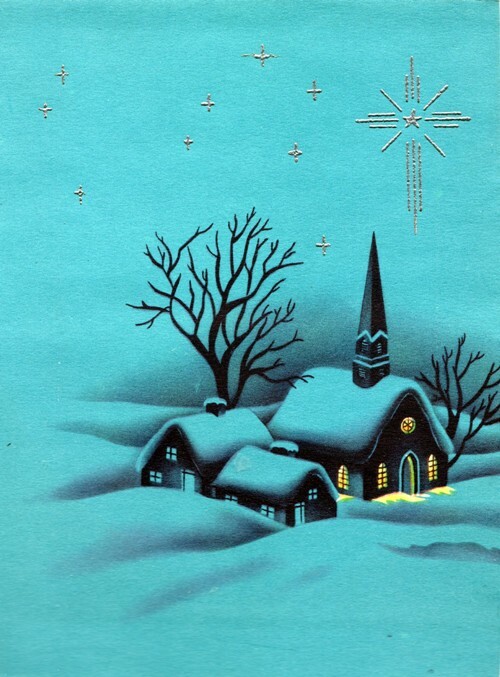 I love these vintage Christmas cards. They bring back such great memories!